When I ate and ate and ate in China | A Day In My Life. Boss: Are you a non-vegetarian? Boss: Would you like to try something which is not run-of-the-mill non-veg food, atleast for us? Me: Absolutely! 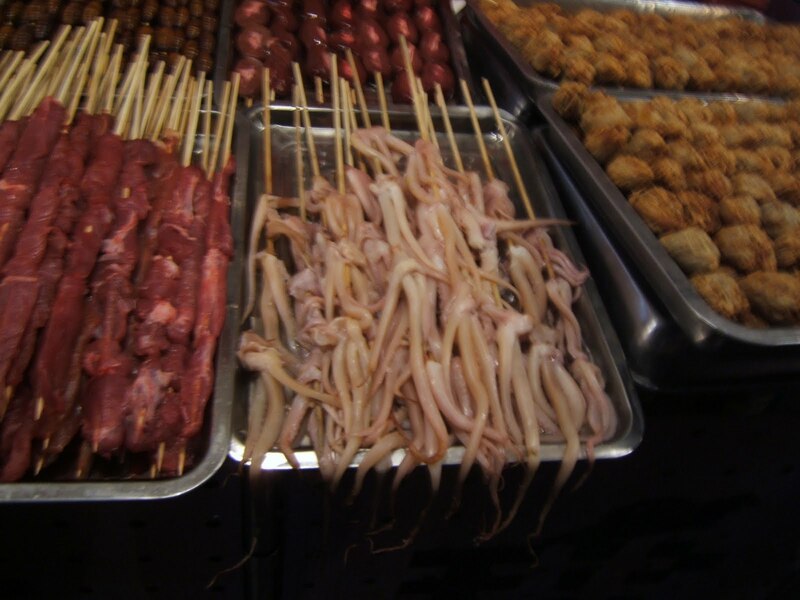 I always wanted to try, ox’s testicles, snakes, silkworms, ducks, etc. Boss: Good, You are going to China in 10 days! This was the conversation I had with my boss when he asked me to go for this junket. I admit, more than the work, the thought of eating all the above mentioned, “Disgusting” according to us, was enough motivation for me to pack my bags and head straight to China. What followed in the week before my trip was nothing short of an experience in itself. My friends, family, colleagues, and possibly any and everyone who came to know about this least sought after places for vacation (given our fixation for the Switzerlands, and Londons of the world), asked me, China? Why? How will you survive there? Do you even know what they eat? How and what will you eat there? And many more such questions were thrown at me. I sincerely believe that visiting a new country or even a place in your own country isn’t complete until you try the local food. No matter how offensive it may sound to you, its staple for some and one MUST experience them. Although, I must admit that all these reservations did make me jittery but nonetheless, I was determined to eat everything and anything that came my way, after all I was an Indian Tiger! Mentally well prepared to eat “anything”, we landed in Shanghai. To begin my belly dance on a safe note, I first entered a KFC restaurant at the airport and asked for a shark burger! It was yum and I cleared stage one. Before the food, I must admit that I was completely awestruck by the Dragon. Whatever I have seen and continue to on television is just a tiny speck to what the country actually is. The first words I uttered when I saw Shanghai were, “Politicians want to transform Mumbai into a Shanghai? Have they even seen Shanghai? Not 10, not 20, what I saw in Shanghai was a city which was atleast 50 years, even by the most conservative estimates, ahead of us. Back to the food, after the first day of the conference, the organizers took us to this amazing restaurant that served food in the authentic Chinese style. There were 15 types of meat to savor and I must admit I don’t know any of the names expect a couple of pork dishes and duck’s tongue! To all those who say that the authentic Chinese food doesn’t taste good – Balls. My mouth still waters when I think of it. Without knowing what I was eating, I ate all sorts of meat and some were really good, some good and well, few were out rightly disgusting. Next day’s lunch was scheduled at the Sofitel Hotel near the picturesque Westlake in Hangzhou. It was a buffet and names of the dishes were written in Chinese. A particular kind of meat caught my attention and I asked the chef what it was? He pointed towards the lake and said something which I comprehended as “Duck!” I ate it, and by far it is the most delicious type of meat I have ever eaten. Once in Beijing, I met wonderful backpackers and instantly formed a small group. Davis Campbell of Scotland, Rita Cabaco (Portugal) who was coming from Vietnam and was heading to Japan, Fannie was a Dutch, spent her six days in the Trans-Siberian train on her way to China, and Farida (UK). The most obvious place to eat in Beijing was the “Snack Street”, which was something like the khau gali of Mumbai. What I saw there was a sight I think is only a carnivore’s delight! From snakes to silkworms, sea horses and scorpions to weird looking sea creatures, you name it and they got it. Just for your information, scorpions are alive and tied to skewers. You order one and they will put a live scorpion into hot boiling oil for a couple of seconds, garnish and voila! Its ready to eat! I am glad I did not puke at that. Meanwhile, Campbell ordered something and was relishing on it. I asked, “What’s this?” He replied, “Try it.” I did. It was tasty, something that I had never ever eaten in my life before. Soft, spicy and juicy… yes, it was a snake! Even now when I think how I ate a snake, silkworms and sea horses, I do feel giddy. A bigger sin would have been not eating all those meats and coming back to my comfort zone in India. The taste of a snake is still fresh on my tongue, duck’s tongue – no matter how repulsive it may sound, was just out of this world and silkworms were undoubtedly one of the most disgusting meat I have ever tasted! It was unmatched experience and I am looking forward to go to China again, and this time, on a full fledged food trip! I was in China from September 10 to 19. More on the country in my subsequent posts. Love the way you've been so very honest!I want to try Snake blood, the thought scares me, but I'm more convinced after reading your blog that it'll be bloody worth it!